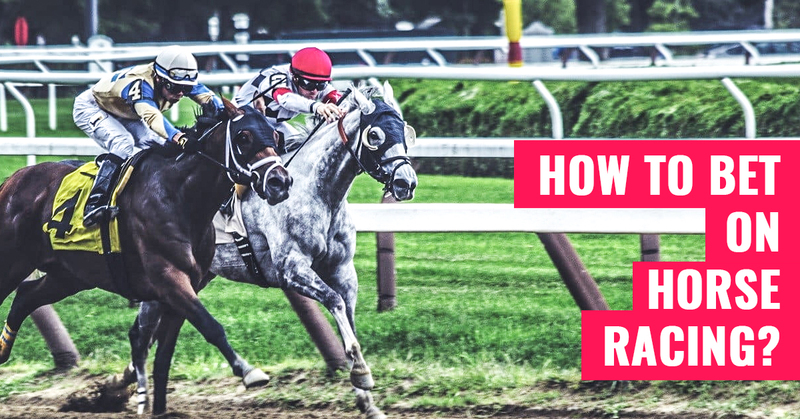 A Quick Guide - How To Bet On Horse Racing Successfully? Horse racing is definitely one of the most popular events when it comes to betting on sports. In some regions, horse race betting is even more popular than famous sports like football and cricket. If you are planning to start your career in this field or just to improve your skills as a horse racing bettor, this article is for you. Horse racing is very popular in many parts of the world, mainly in countries like the UK and the USA. Sports betting is common almost everywhere around the globe, even though not legal in some places. The same goes for betting on racing events such as horse racing. In this type of events, people bet on different acts, usually on the win of specific horses. Available bets, odds and payouts are displayed by the betting agent, and a bettor can choose his bet size and the horse on which he/she wants to bet. If your horse wins the game, you will get your prize money as per rules. People like to bet on horses because they have better winning odds. If there is a favourite horse, the chances are that it will win, more than often. The payouts are also very lucrative in horse racing. Only by learning as much as possible about horse race betting, you can become an expert in the industry. Read on for more. Nowadays, many online casinos are also offering the services of betting on popular sports like horse racing. This is even better than betting at a physical window, as you can enjoy the game while betting online from anywhere and anytime. Just like a normal betting area, you can see the latest odds and payouts for ongoing races and start betting on your favourite jockey. There are many benefits of betting online on horse races. You get access to several sporting events without having to go anywhere. Online betting sites offer attractive signup or deposit bonuses that you can utilize in your bets. The payments are faster and guaranteed. If you are just starting with horse race betting, the first thing you should do is get familiar with different types of bets. There are different markets, different agents and sportsbooks, and multiple odds and payouts, all of which can easily confuse you when you are first starting in this field. The best thing to do is learn one thing at a time. The most common horse race betting market is the winner market where you bet on the winning of a particular horse. The winner betting market also lets you back a horse for an each-way bet, where you can place bets on a win as well on places. The number of places to be paid out in a specific race depends on things like the sportsbook, number of horses in the race, etc. So, if you back a horse in an each-way bet and your horse wins, you will get the winner stake along with a fraction worth the place odds from the win. Just like any other sport, horse racing events are of many types, depending on the size of the event, the complexity level, number of horses, type of surface and tracks, type of horses and many other things. A bettor needs to consider all these things in order to make a calculate account of the right horse to back in a race. Past records: Take a look at the past records of horses on similar tracks to see if they can perform well at the current track. If the record of a horse is not impressive on that track, you should probably look at someplace else. The surface: Once you select a horse that you want to back or if you already have a favourite horse, the next thing to look for is the preferred track for that horse. The surface condition of the track on the race day is going to have a big impact on the probability of your horse winning the race. The information on the track status is usually available on the card displayed on the board. A better way to find out the status of a track is to see what the jockeys have to say about it after the first race of the game. Then, you can make your bets accordingly. Handicaps and weighs: Some horse races have handicaps where horses carry extra weights, as decided by a handicapper, in order to maintain a balance in the race. If you are a professional horse race bettor, you can identify which handicap has been wrongly assigned and win bets on them. It is not easy to identify profitable bets in a handicap horse race, but it is definitely possible with practice and some research. If you are already following an online sportsbook for horse race betting, you should stick to them when it comes to finding the right odds and getting the best prices. There are hundreds of bookmakers out there, all of which provide different odds even for the same race, depending on who they think is the favourite in a game and has the chances of winning. In order to get the most out of your invested money, you need to bet with a sports betting agent who can offer the best price for the same bet. Research is one way to do that. If you trust your existing online sportsbook, you can continue to bet on horse racing with them.